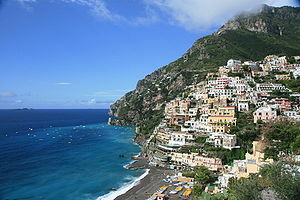 While we were in Positano Italy, we walked and walked and did hundreds of steps a day. My feet were sore and a blister started. I went into a men’s clothing store and tried on a pair of good Italian leather shoes. OH! what a feeling. I kept them on and packed my old shoes. It was like walking on pillows. The feeling was so comfortable. The stairs didn’t seem to bother me. The walking was pleasurable and the blister never happened. I am sold on good quality Italian shoes.